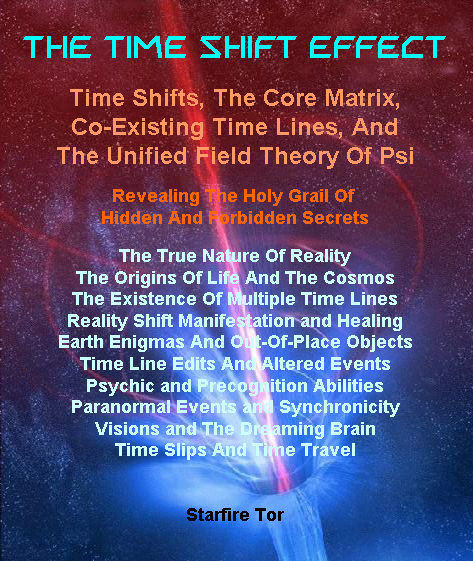 Starfire Tor is the creator of Reality Shift Manifestation protocols, which is a Core Matrix co-existing time line edit science that can alter localized elements in the dominant co-existing time line. She has been teaching these protocols for years, and has publicly proven her ability to accomplish her RSM mission goals. This includes weather modification. 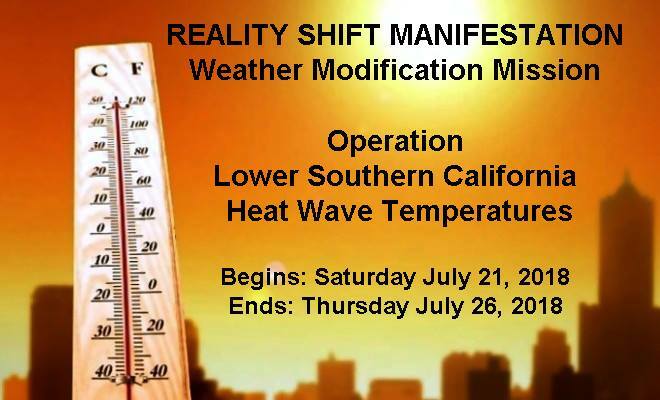 On July 21, 2018 Starfire Tor launched a Reality Shift Manifestation mission, with a goal to lower the triple digit heat wave temperatures expected to hit Southern California starting Monday July 23, 2018 through Thursday July 26, 2018. Everyone in the world is invited to join. The more who join, the more powerful the RSM mission will be. Click on the Reality Shift Manifestation mission poster, where you will find the detailed instructions on how to participate in this Reality Shift Manifestation Mission. Starfire Tor returns to Whitley Strieber's Dreamland with new and important information about The Core Matrix, Time Line Edits, Time Slips, Precognition Hits, Ancient and Present ETs, The Dark Matter Aberration, Dark Forces Attacks, and The Future Of Mankind. The show premiers June 22, 2018. Go here to read the important Core Matrix report, where you will see the first ever images of the Core Matrix. This is the first time that this information, about the Core Matrix, has been shared with the public. The report and images are discussed in the interview. Many of you have listened to my interviews on radio, watched me on TV, read my many reports and articles, enjoyed the unique information on my website, and followed me on ocial media. Over the decades, all I have ever asked is that you open your minds, hearts, and souls and learn what I have to share. I have never charged the public money - as yet - for my knowledge. This book, will be my entry, into earning money from my years of well received and documented research. I have always been able to fund my own research, as well as earn a living, so charging money for my research knowledge was never a goal for me. But several years ago, I survived a horrific attack that almost killed me. My attackers wanted to stop me from sharing my unique groundbreaking Core Matrix knowledge with you the public. Please don’t let them win. You can learn more about this attack on my new interview with Whitley Strieber . I survived, the life altering attack, because of a Divine intervention. As grateful as I am, for this amazing intervention, it happened after my medical bills wiped out my life savings. Without your donations, and hopefully further Divine intervention, I may not be able to finish my book – or even continue on at all. I am doing my best, and I hope that you will be moved to do your best as well. So please show you support for my work, my book, and my continued life. Perhaps you will be part of another life saving Divine intervention.